It’s often useful in Klipfolio to create a sequence of dates for graphs or tables, spanning back in time from today to X years ago. On line 5, the “1” represents YEAR. Only line 8, the “4” represents WEEK. 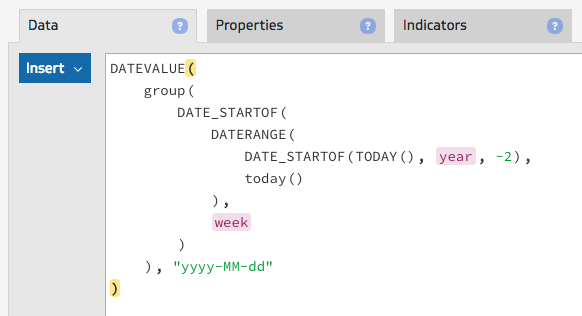 In the Klipfolio interface these are displayed as proper values. 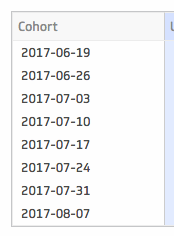 Change the date format string on line 10 to be whatever you need.